It's so easy to build the perfect evening or date-night outfit with this Stella McCartney bodysuit. 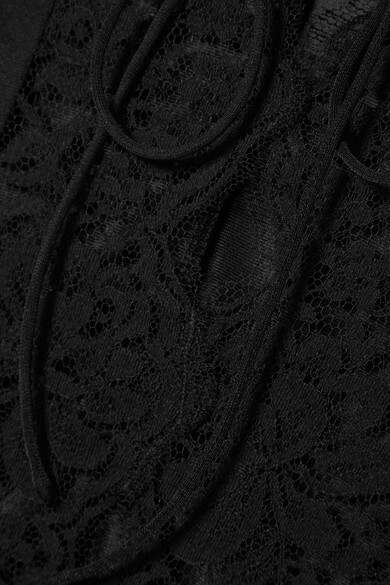 It's cut from black satin that's trimmed with scalloped lace along the plunging neckline and has thin straps and front ties. Tuck yours into high-rise jeans or a midi skirt. Shown here with: Versace Jeans, Acne Studios Blazer, Alexander McQueen Shoulder bag, Gianvito Rossi Mules, Ellery Earrings.